Made with Apple infusion. See my demo & review below of my black pot version and the ‘naked’ version of this lotion. This isn’t quite exactly like so white in my noses opinion. But it’s similar. 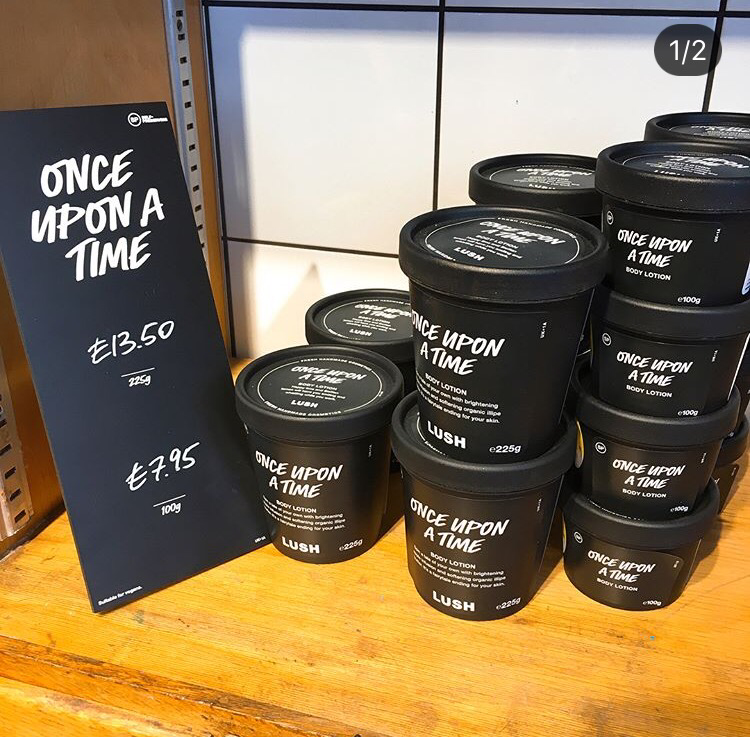 Once upon s time has more of a real apple scent. 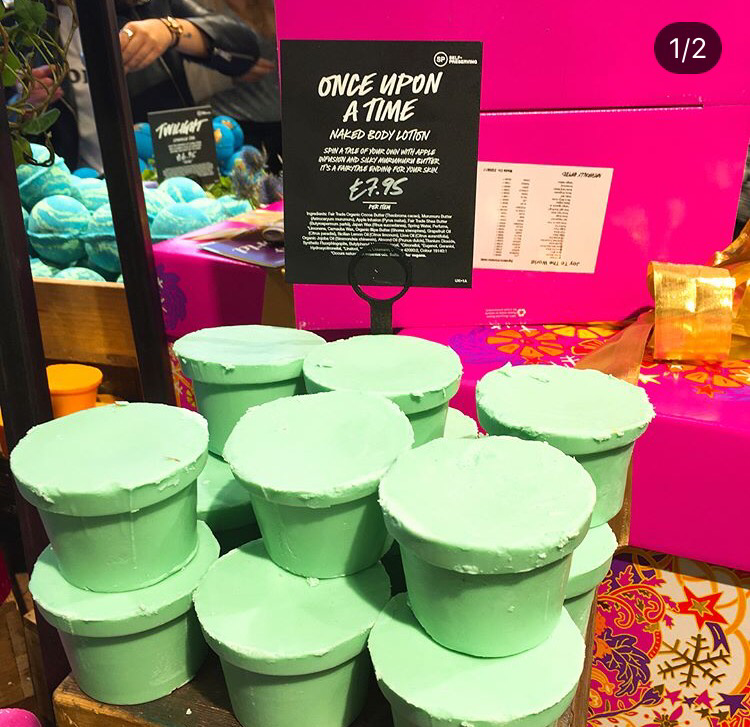 Posted on September 4, 2017 by Lushalot	• This entry was posted in Christmas 2017, Liquid, Uncategorized and tagged lush christmas 2017, lush once upon a time, once upon a time body lotion. Bookmark the permalink. Oh my…Now this one excites me !♡Love the so white scent! Omg my prayers have been answered.